Training to be a HD Brows Stylist has transformed my life! I’m a 42 year old Mum of one who has been brow obsessed since I was a teenager – yes, THAT LONG!! What did you do before HD Brows? / What did an average day consist of? At the moment I am working full time in a bank & evenings and weekends making brows beautiful for my clients. How did you get into beauty? / What or when was your big break in HD Brows? How has HD Brows changed your life? / What do you love about your job? my ability & skill. I’ve proven to myself that I CAN do it. 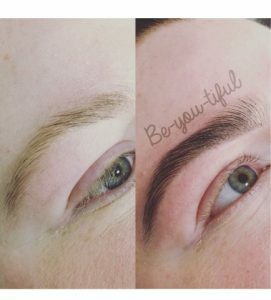 I absolutely love seeing brow transformations over a period of time, specifically with clients who thought there was no hope due to years of over plucking! What are the highlights of the past year for you? / What has been your proudest moment since training in HD Brows? Highlight for me was achieving my HD Brows official stylist certificate. 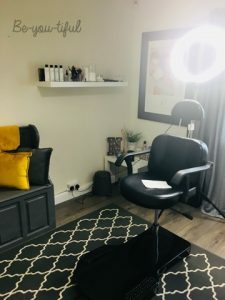 My proudest moment has been when a new client sat in my chair & told me she was thrilled with her brows, having told me repeatedly before her treatment that she was extremely fussy who she would trust to work on her brows after living in England for years & going to a rather exclusive salon. I felt the pressure!! In your opinion, what are three traits that can help you be successful in your industry? 2-A strong work ethic where you are persistent in the pursuit of your goals. 3-Be CONSISTENT every single treatment must be first class. What are some tips you can give for those who are trying to break into HD Brows? Just do it. It’s that simple. Book the course & give it your all. What makes your work different from that of others? I listen to & respect each of my clients requests, look for feedback from them & apply the principles of bespoke tinting & shaping for all ages & colourings. My clients are fully informed throughout their appt, encouraged to ask questions & shown in detail how to maintain their brows at home & are assured of the full HD treatment every time they visit. Would you recommend training in HD Brows and why? / What advice would you give to people thinking about completing HD Brows training? I’d 100% recommend the HD Brow training. It is thorough & has the right mix of theory & practical. The help & support of the trainers is superb & it’s a comfortable & reassuring environment where you feel able to ask any questions or for extra assistance. The support is ongoing after your course & the refreshers is invaluable. As per my answer above – the advice I would give would be just to go for it – there are no limits to what you can achieve, only the limits you place on yourself, so just do it.